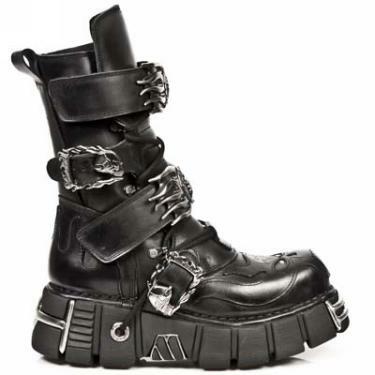 New Rock boots M.148-S1. 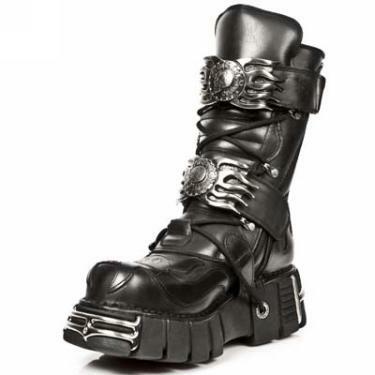 Black leather boots with a tower sole with metal details, and a blazing black skull detail on the toe cap. 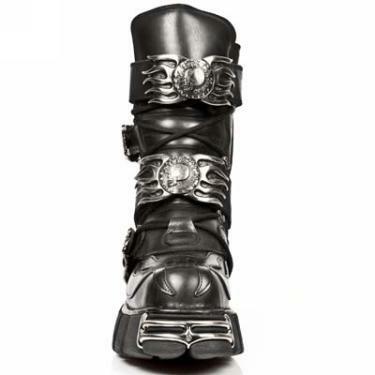 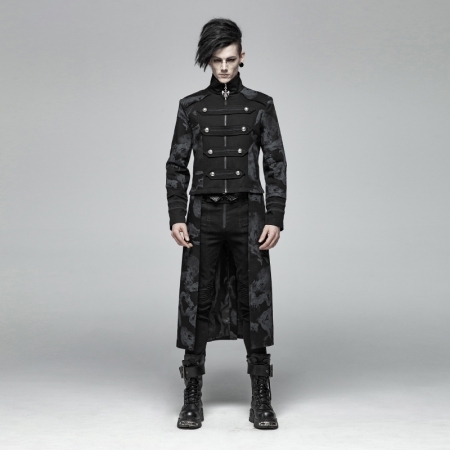 There are 2 velcro fasteners with New Rock blazing skull logo, 2 adjustable blazing skull buckles, laces, and a zipper. 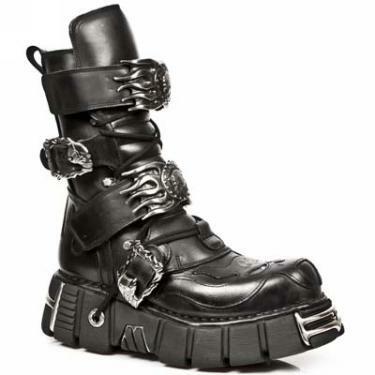 In stock for immediate dispatch is EU size 43 and 44. 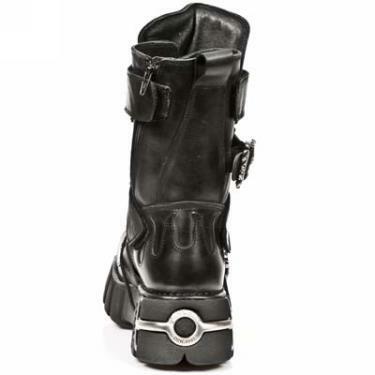 The regular price of these boots was euro 319.95.